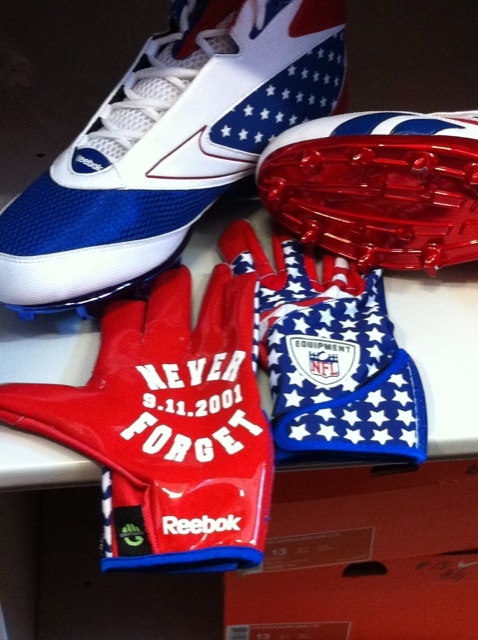 In observance of the 10th year since the attacks made on the United States of America on September 11, 2001, Reebok has issued commemorative "Never Forget" cleats and gloves to their NFL athletes. 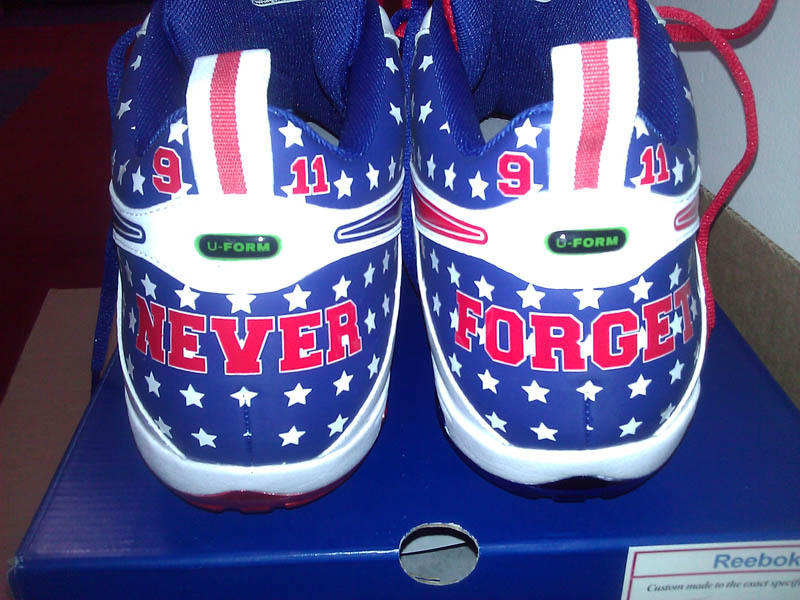 In observance of the 10th year since the attacks made on the United States of America on September 11, 2001, Reebok has issued commemorative "Never Forget" cleats and gloves to their NFL athletes. 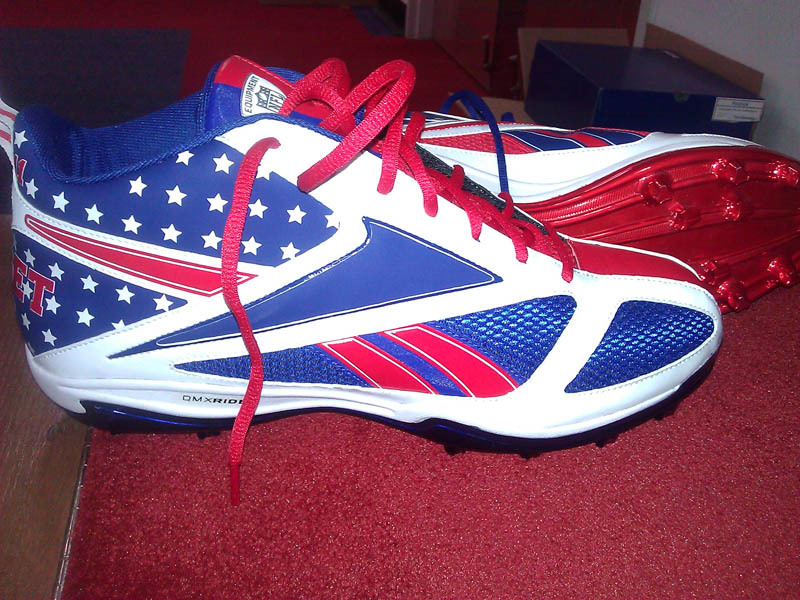 The cleats, Reebok's new NFL Viz UForm Electrify, are decked out in a patriotic stars and stripes look with "9/11" and "Never Forget" on the heels. 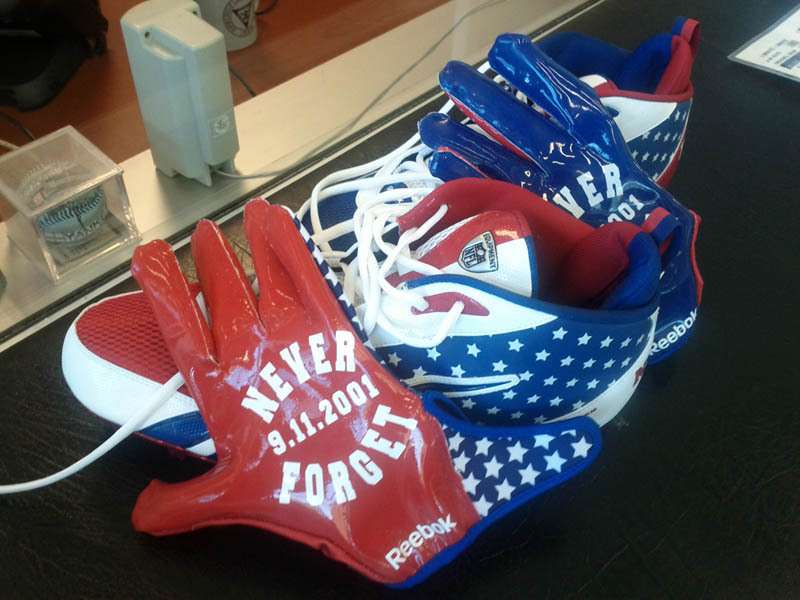 A similar look is used for the gloves, which feature "Never Forget 9.11.2001" on the Griptonite palm side. 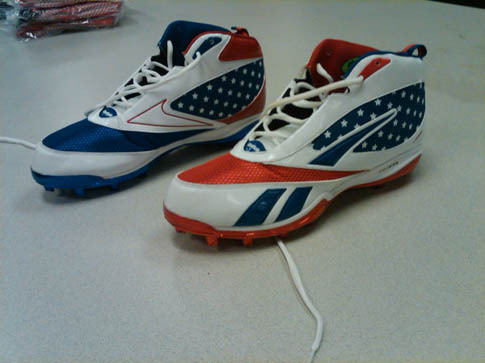 A lineup of players that includes Kansas City Chiefs running back Jamaal Charles, Chicago Bears linebacker Lance Briggs, Washington Redskins tight end Chris Cooley, Tennessee Titans quarterback Matt Hasselbeck, Atlanta Falcons wide receiver Roddy White and more will be wearing the 9/11 accessories. 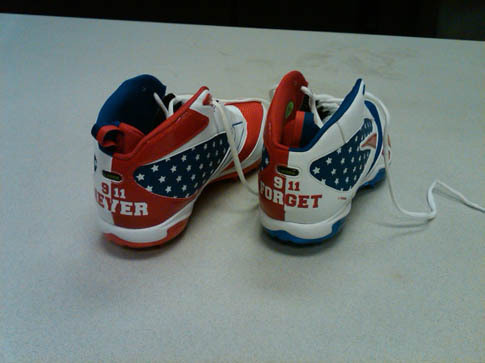 The NFL announced earlier today that players from all clubs could wear special 9/11 commemorative gear from NFL licensees for Week 1 Games.